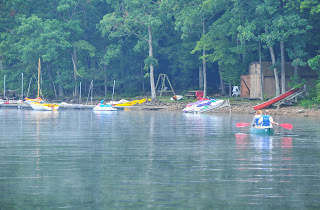 Dog friendly Deep Creek Lake activities and restaurants make our area a favorite destination for travelers with pets. It’s not a true family vacation unless you can bring your four-legged friend with you! Paddling around the lake on quiet summer mornings is even more fun when your dog can join you! 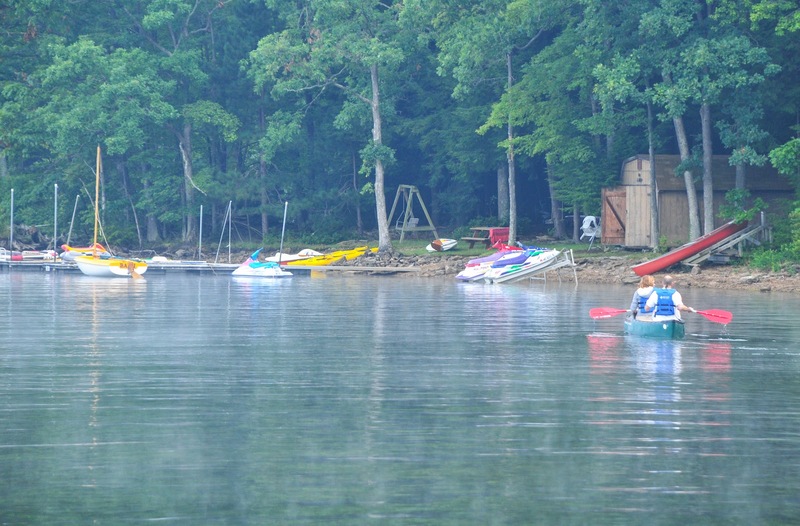 Rent a double kayak from Wisp Resort or High Mountain Sports, and they’ll deliver it right to your Deep Creek Lake vacation rental home. With some extra time off this past week, my family and I decided that we wanted to “take advantage of our natural resources” and experience a mini-vacation here at home (aka Deep Creek Lake). Our first evening, we decided to take it easy and just enjoy dinner and a movie. We chose to eat at Uno’s Chicago Grill as it is one of our favorite lakefront dining options (come by boat or car!). There is something relaxing about dining out of the deck as you watch everyone playing on the lawn and in the lake. After a fabulous meal, we headed over to Garrett 8 Cinemas. While I can’t say too much for the actual movie we watched, we did embrace the comfort of the AC. The next day, it was time for some adventure. The boys and I packed our lunch and headed to the lake to spend some fun time in the water! Cannonballs, competitive dining, floating lazily on our rafts, I didn’t think I could ever convince my crew to leave. We did have a wonderful afternoon though. The lake can be so refreshing! Our next stop was to swing by the Lakeside Creamery for some ice cream cones! Made on the premises with all fresh ingredients, it is clearly easy to see why this is favorite destination of visitors and locals! Yum! Exhausted but content we left and headed home. Our shenanigans continued throughout the next few days where we attempted to cram as much fun as possible into our time off. 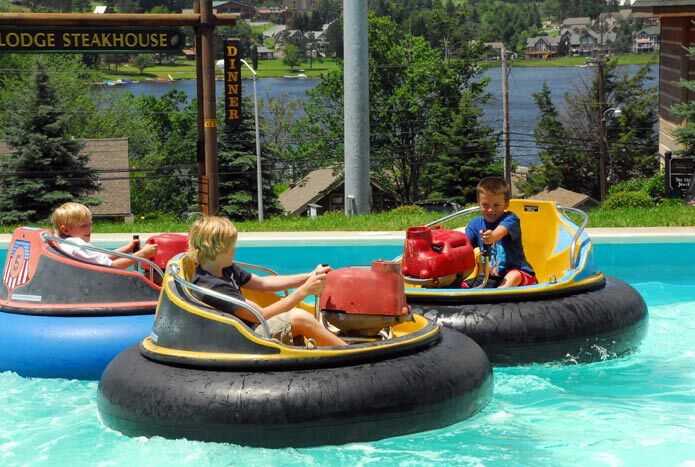 Look for Part II where you will find out who conquered mini-golf, who tried to cheat @ mini-golf, and how we took some breathtaking pictures of the McHenry Cove as we rode the scenic chairlift at Wisp Resort. In the meantime, summer days are sailing by so now is the time to call and reserve your vacation rental home. 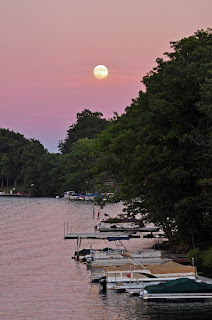 Taylor-Made Deep Creek Vacations (1-866-351-1119; www.deepcreekvacations.com) has many homes to choose from and our staff is always more than willing to assist you in finding the perfect home to fit your family and friends. In the meantime, we can’t wait to see you at the lake! If you happen to be in the area this weekend and you notice a lot of very strangely clad folks running into Deep Creek Lake, you may question the sanity of those that are here. No worries! That is just all of the wonderful people that are participating in the 15th anniversary of the Deep Creek Dunk! Sponsored by the Maryland State Police, dunkers are asked to donate at least $50 in pledges to participate. Once they have made the pledge, Dunk participants take a quick dip in the lake behind Uno’s Bar and Grill. This wonderful charity raises funds for Special Olympics Maryland, the state’s largest year round organization devoted to sports training and competition for children and adults with intellectual disabilities. The event is free to spectators, and Dunkers receive a commemorative sweatshirt, lunch courtesy of Uno Chicago Bar & Grill, group color photo, and the satisfaction of knowing that contributed to such a great cause. The last time I checked their website, the pledges were already over $110,000, which is absolutely amazing! Not to mention how fun the event is. You more than likely will see some “celebrities” such as Elvis, Spongebob, and Kiss, the rock group! Entertainment also goes throughout the day and evening. If you are in the area, please stop by and support this awesome charity. 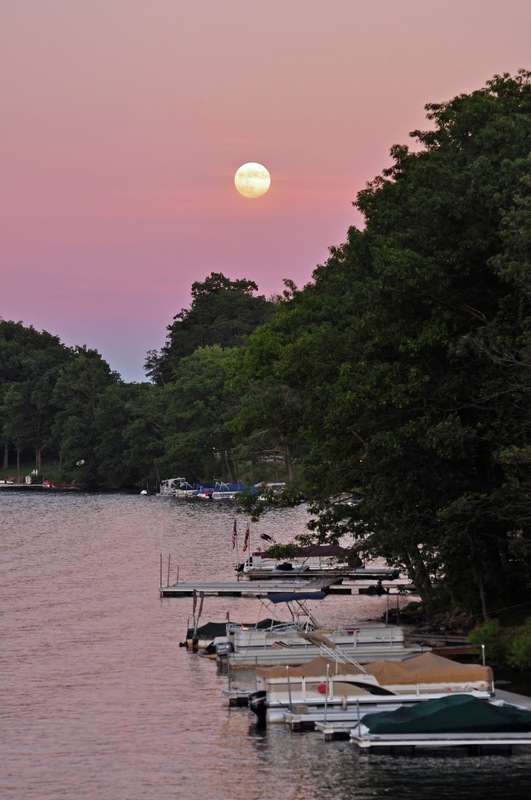 If you are planning on a summer vacation here at Deep Creek, now is the time to find your perfect vacation home. Lakefront homes tend to book quickly so if that is your preference, it is best to start your search sooner rather than later. Call our office (Taylor-Made Deep Creek Vacations or online www.deepcreekvacations.com) and speak to one of our Reservationist to get explicit details on the homes that you are interested in. Our Reservations team goes out and views every home so that we can effectively answer your questions to the best of our knowledge. Not sure to do while you are in the area? Ask us! We can tell you the best places to go for hiking and biking, horseback riding, where to rent a boat and what special events are going on in the area during the time that you will be visiting. Mother Nature continues to blanket the area with snow so the ski slopes at Wisp are still open and ready for you to tackle! If you are vertically challenged on the slopes (such as myself!) then you may want to head to the snow tubing park or to the ice skating rink! Lots of fun activities for the whole family! In the meantime, we can’t wait to see you at the lake!